Wait a minute. 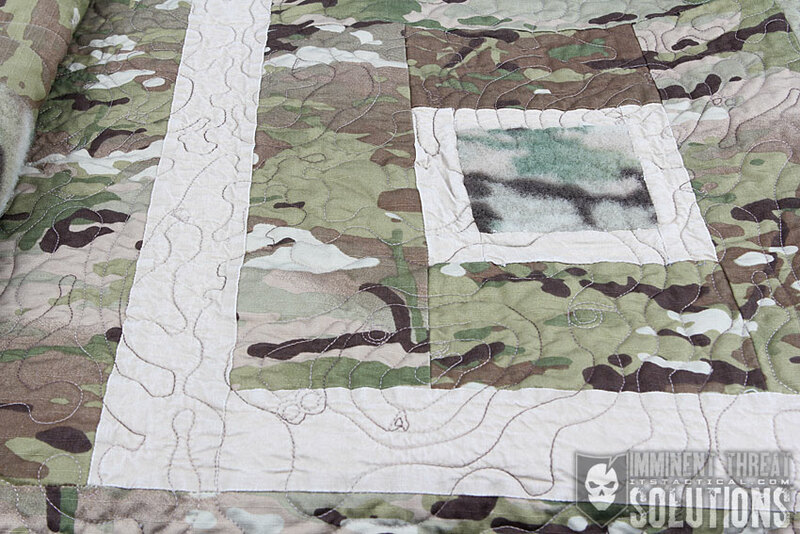 A “tactical” quilt? I suppose you could call it that, but I really like Titan Strategic’s name for it. The Security Blanket. 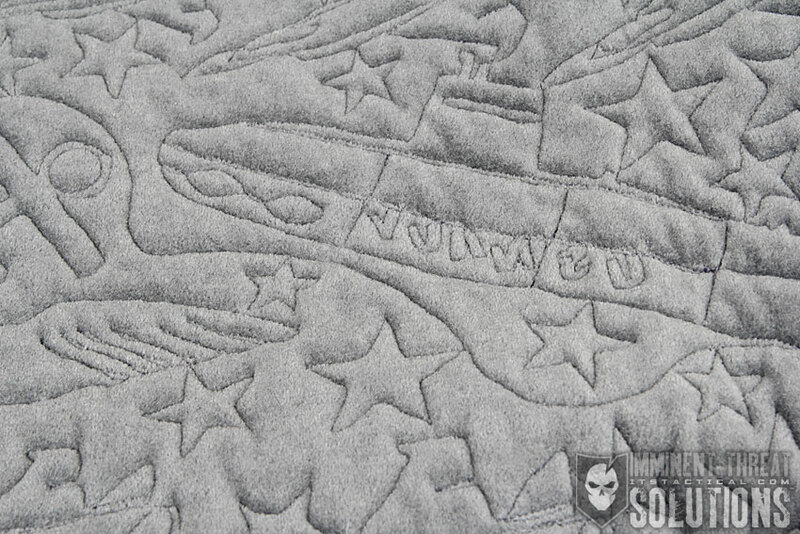 It’s everything you’d expect from a US made quilt, without the embarrassing pattern only your wife would love. 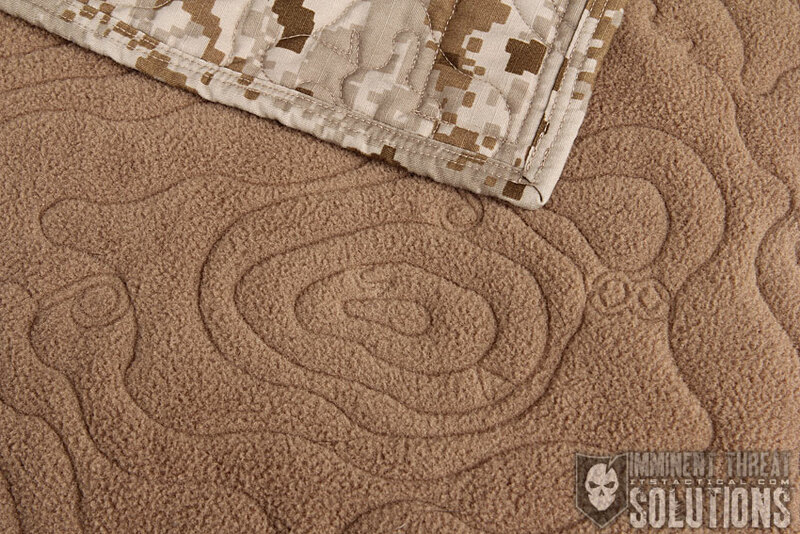 Besides, who doesn’t want their favorite camouflage pattern on an extremely warm blanket? I’ve been a fan of quilts ever since my wife Kelly made a few of her own. They’re warmer than a typical blanket that lacks insulation and perfect for your next campout, storing in a vehicle, curling up around the fire with a good book, or even eye guzzling Netflix on the couch this winter. I won’t judge your binge, #showhole. I was approached a few months ago by one of our ITS Life Members and the owner of Titan Strategic Group, Brian Sneed, to see if I’d like to review the Security Blanket. Of course I was all over it and may have even watched a few Netflix shows with it. You know, for research. Over the past few months, I really have put it through its paces, using it for everything from camping, to a replacement for my covers at night. I typically carry a rolled up wool blanket in my vehicle for emergencies, but I’m making the switch to a Security Blanket. Yes, it may be an expensive emergency blanket, but I’ll also have it there for camping as well. 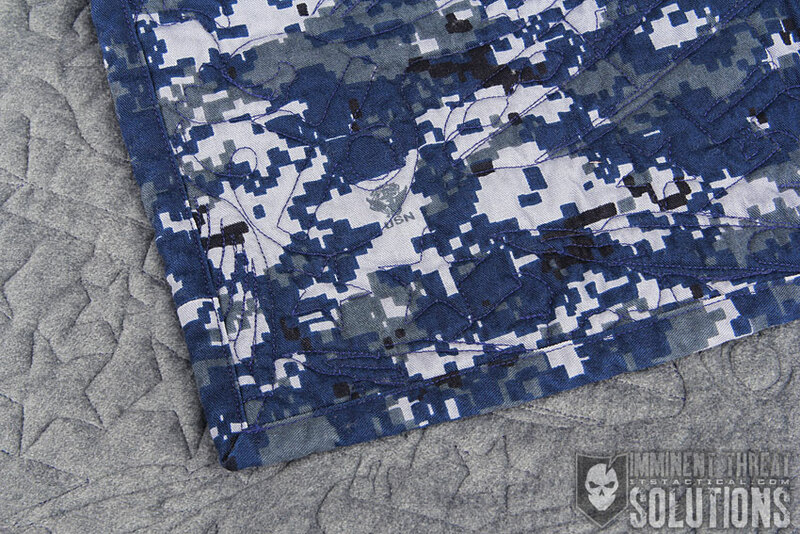 The name Security Blanket may bring up visuals of Linus from Peanuts clutching his blue blanket, but the only thing similar here is that they’re available in the Navy’s blue NWU (Navy Working Uniform) Type 1 pattern, along with MultiCam and NWU Type 2 (Desert Digital) patterns. What’s resonated with me about the Security Blanket is a bit of nostalgia. These take me back to my youth and a Woodland Camouflage sleeping bag I’d use as a comforter on my bed. I have vivid memories of wanting to join the military back then, when I’d lie in bed and listen to the latest news on Operation Desert Storm. 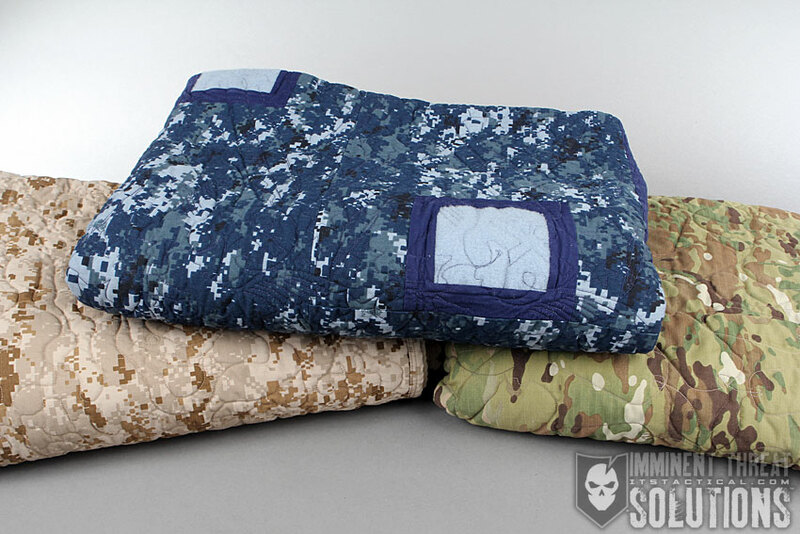 As mentioned, the Security Blanket is currently available in three different military-themed patterns, as well as three different sizes, 48″ x 76″, 60″ x 72″ and 60″ x 85″. I opted for 60″ x 72″ on the NWU Type II blanket I had made and feel that it’s a perfect size for me to cover up with, being 5′ 10″ tall. 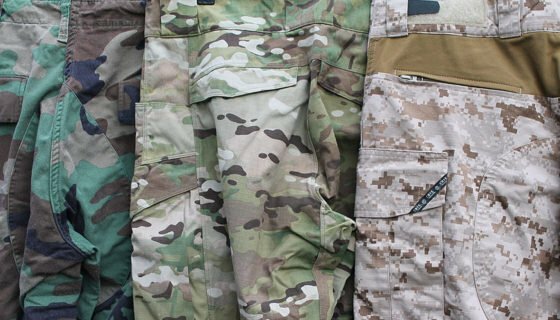 Not only do you have options for camouflage patterns and size, but there’s also two different kinds of quilting stitches available. 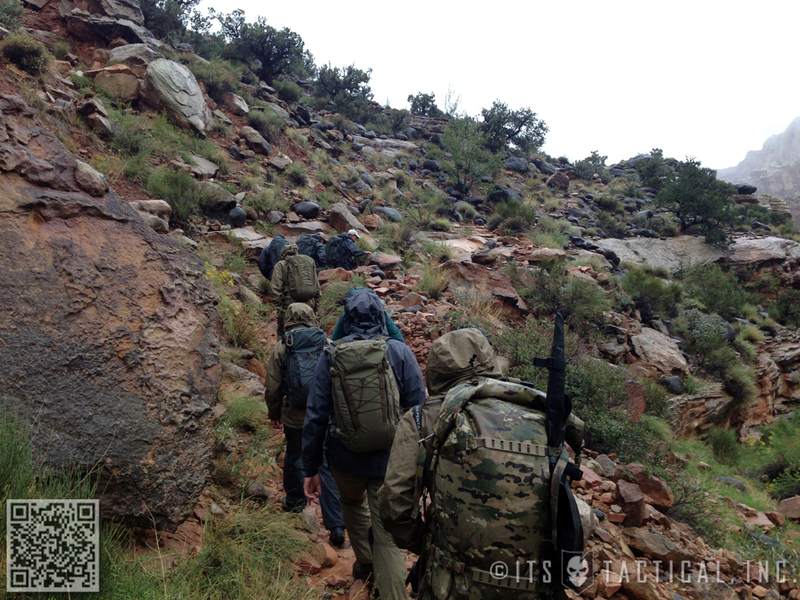 A topo map pattern or dog tag pattern. I opted for the topo map pattern, but you’ll also see a Navy themed pattern in the photos here of the NWU Type 1 blanket. I was lent a few extra blankets to include in this review to show the options available. Just when you thought the options were over, surprise, there’s more! 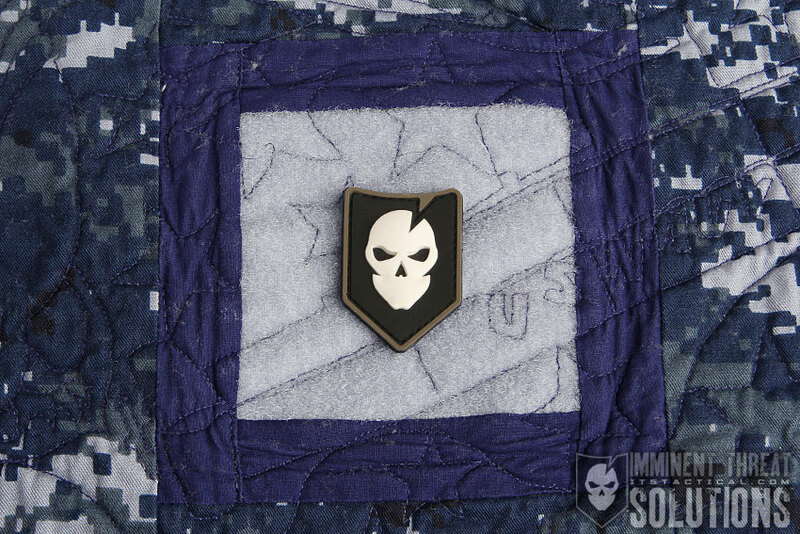 You also can opt to have loop velcro sewn on to add a name tape or other morale patch flair you may want, as well as a border around the loop velcro squares. The standard velcro option includes six 3.5″ x 3.5″ loop squares and the bordered version has five loop squares. 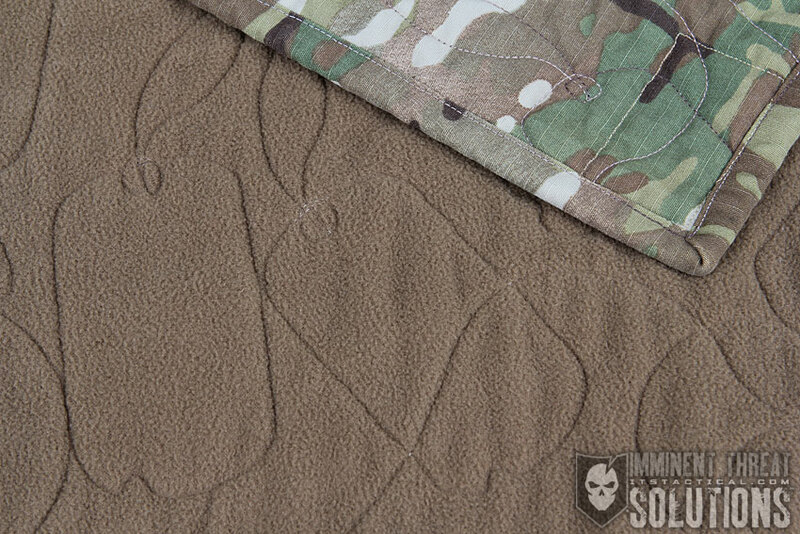 Did I mention that the fabric used in the Security Blanket is Cordura NYCO Ripstop? This guarantees that you won’t have to worry about rough handling of your blanket. It’s durable and made extremely well with double stitched edge binding for additional strength. 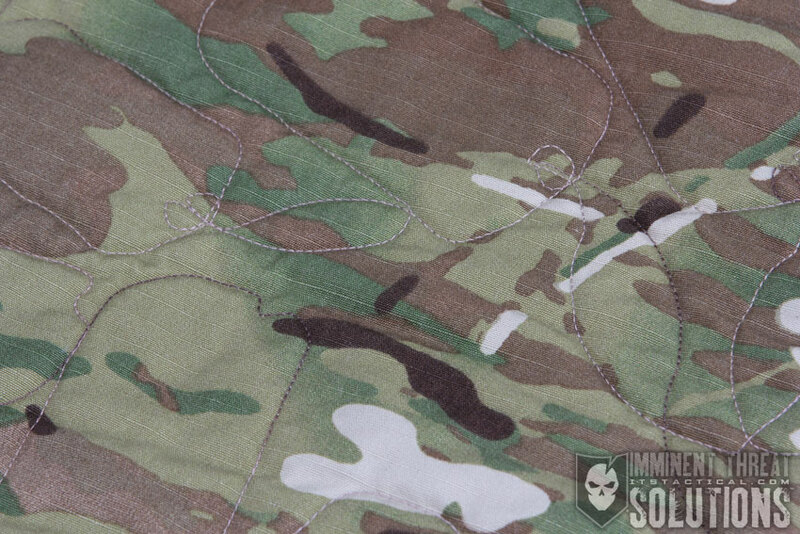 Speaking of stitching, something really neat on the MultiCam blanket is the use of varigated thread, which changes colors in the pattern. We’ve tried to grab a photo of it below. Inside, Titan Strategic uses Hobbs Batting (80% Cotton / 20% Polyester) for insulation and the backside of the blanket is genuine Polartec Fleece for added warmth. 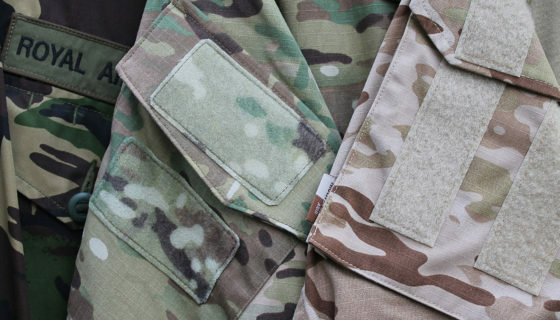 All fabrics are sourced in the US, including the Velcro USA MultiCam loop. When you first get your Security Blanket, you’ll see the recommended washing instructions that will smooth out some of the rough texture of the NYCO Cordura and make it even softer. The Polartec Fleece is super soft out of the bag, but a first washing on any quilt is always recommended. I didn’t know that tidbit until I was married, but I digress. 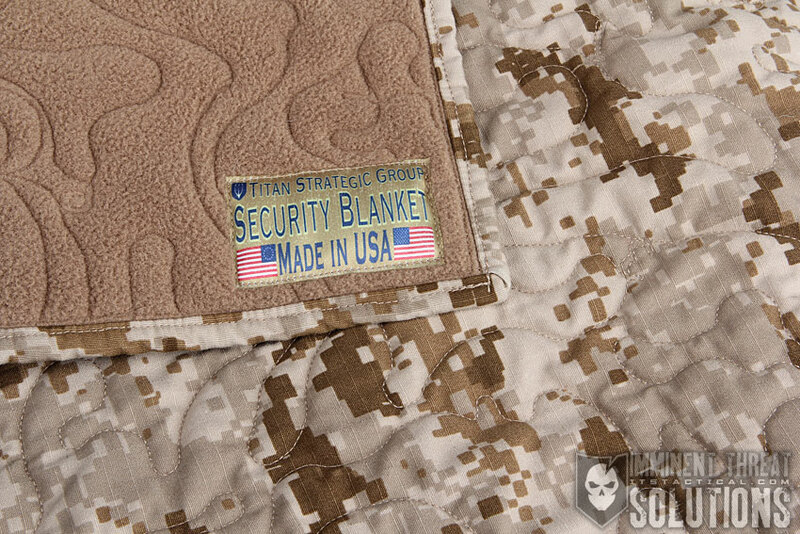 Each Security Blanket is custom built-to-order specifically for you, which means you can work with Titan Strategic on a custom size, stitching pattern, or even having your name, rank or insignia embroidered on. Titan is currently quoting a two week shipping time from the time you place your order, with the holidays, it’s probably best to double check on that. One last thing I’d like to mention comes from Kelly, she let me know that the pricing that Titan is charging is very competitive with US handmade and machine made quilts. 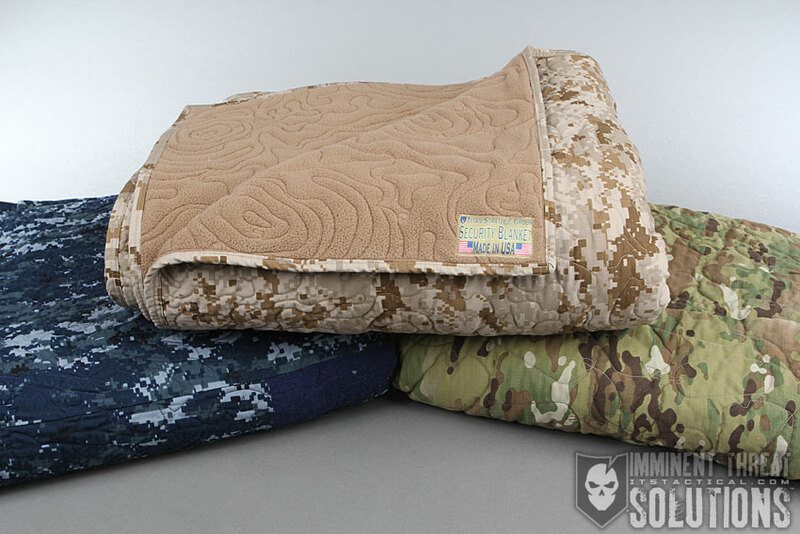 These aren’t mass produced and are individually machine sewn and quilted by Titan Strategic right here in the US. The price may seem high when you look what’s on the shelf at big box stores, but those quilts are typically mass produced overseas. In my opinion, the Security Blankets are worth the price for their American made materials and construction. It’s a keepsake that you can pass down to your kids and I plan on my Security Blanket lasting a lifetime.